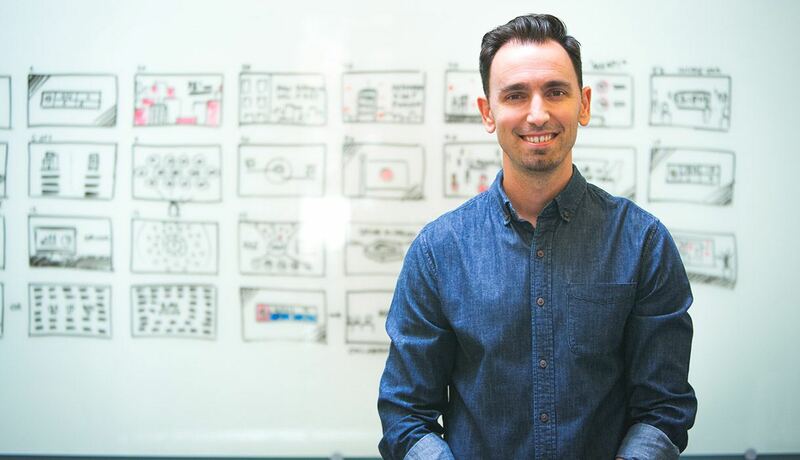 Ryan Orcutt joined Duarte after graduating in Communication Design and serves clients as a Creative Director. For more than a decade, he’s been helping some of the world’s most influential speakers craft, visualize, and deliver compelling and persuasive stories. Ryan speaks at conferences on the power and importance of presentations and is a master of the Duarte principles. His extensive client list includes thought leaders like former Vice President Al Gore, Senator Elizabeth Warren, and Productivity Guru David Allen, and he’s built presentations for some of the biggest brands in the world, including GE, Dolby, Lufthansa, Procter & Gamble, and The World Bank. If you dropped in at Duarte headquarters, you’d most likely find him leading a client workshop, drawing a storyboard, or tending bar at the Friday afternoon happy hour to help raise money for Duarte’s charities. At the end of the day, Ryan heads home to work on his latest projects—a pair of boys—with his wife, Vanessa. Why Presentation Design Matters And How to Tackle The Huge Opportunity In Front Of You – Presentations have become the default way that businesses communicate with each other and their customers. As a result, presentations hold some of the most critical ideas, concepts, and messages in the world. Yet they’re trapped—hidden inside horribly designed slides and buried beneath a poorly told story because, to a lot of people, presentation design is an afterthought instead of an essential skill for communicating great ideas. And that needs to change. Ryan’s talk is both a call to arms and a shot in the arm. He reframes the power of a presentation, elevating it from basic to business critical. By the end of Ryan’s talk, which will showcase several real project examples and the transformations they underwent, you’ll agree with his unique perspective: If you want to make a difference in the world, great presentations pave the way. Who it’s for: This talk will ignite your passion for presentations while giving you a glimpse into the process used to transform basic business presentations into persuasive visual stories. How Business and Creative Minds Can Collaborate for Better Results: A Lesson In Left-Brain Right-Brain Communication – As businesses choose to communicate visually more often, many non-creative business roles are required to give feedback to creative ones. These business folks aren’t trained in basic design principles, yet they don a faux Art Director’s hat which can frustrate the creative soul. This talk helps both the business and creative mind find ways of working together that yields strong creative outcomes. Who it’s for: If you are an executive, communications, or marketing professional and work closely with creative talent, this talk will help you understand and align with how to keep talent motivated and creating their best work—every day. A Creative’s Way: Six Principles to Guide Your Creative Career – This talk is a reflection on Ryan’s creative journey (so far) and the principles he leans on when up against the daily grind. Maybe you’re in the middle of your professional journey or just getting started, either way, you’ll find something valuable in the life lessons he’s learned so far. Ryan shares how these creative principles – along with a few personal ones – have inspired him to bust through roadblocks and get his best work done. Who it’s for: This talk will re-awaken the creative and personal soul. It’s hard to produce inspired work every single day. Creative work comes from a deep and personal place and there are days when you just aren’t “on” yet you are required to be. Anyone who is part of the creative process – from design to writing to strategic thinking – can take advantage of these principles and make them their own…or be inspired to crystallize the ones that best reflect their own way. Building a Portfolio and Pitch That’ll Get You the Job You Want: How to Pitch Your Work – It’s an illusion to think that your work speaks for itself. The best candidates know how to represent their thinking. If you can pitch your own work well, employers know that you can pitch great creative work to clients too. Who it’s for: This is for design professionals wanting to kill it in their next job interview. This talk is best delivered to students or at creative and design conferences.